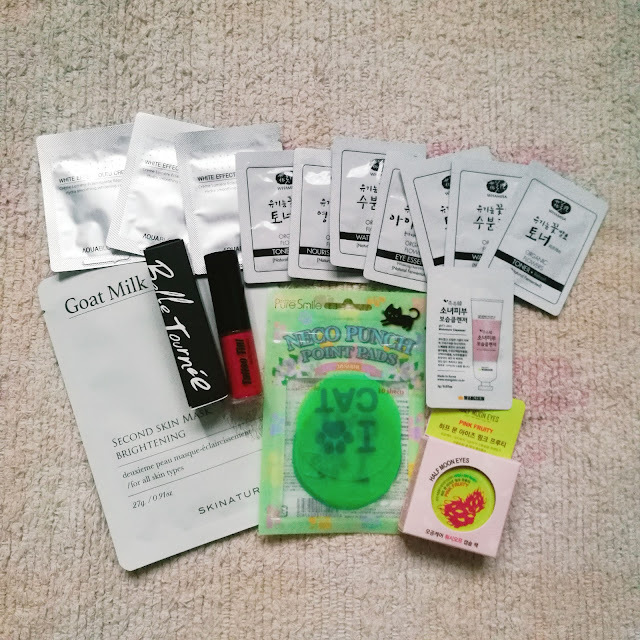 There are a lot of online shops distributing Korean beauty and skincare products locally but I find myself browsing Althea Korea more often because it's more updated and the expansive range and variety plus huge discounts can't be beat! Since they ship from Korea straight to your delivery address, it's like bringing home a piece of Korea each time, heh. These, as well as the cool deals they regularly offer, are why I've remained a loyal and happy customer since I first ordered two years ago. Now to celebrate their birthday this month, they're shipping awesome limited edition birthday boxes with every order, until supplies last! 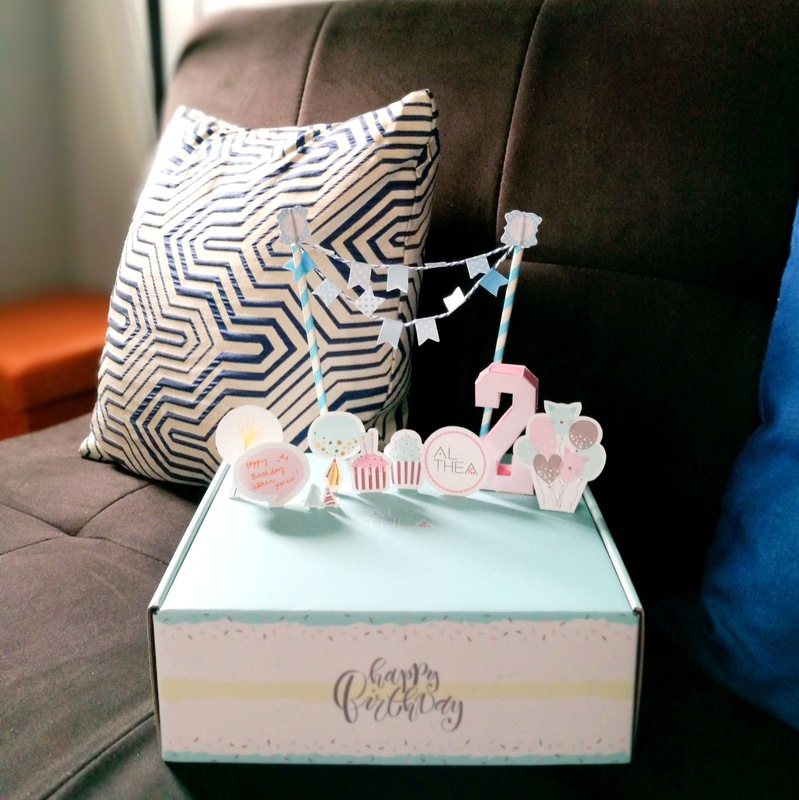 Here's a closer look at how I decorated my Althea Korea cake box with the birthday DIY kit! Now let's take a peek at what's inside! Would you believe that I only ordered three items here and THE REST ARE FREEBIES?? Yes! 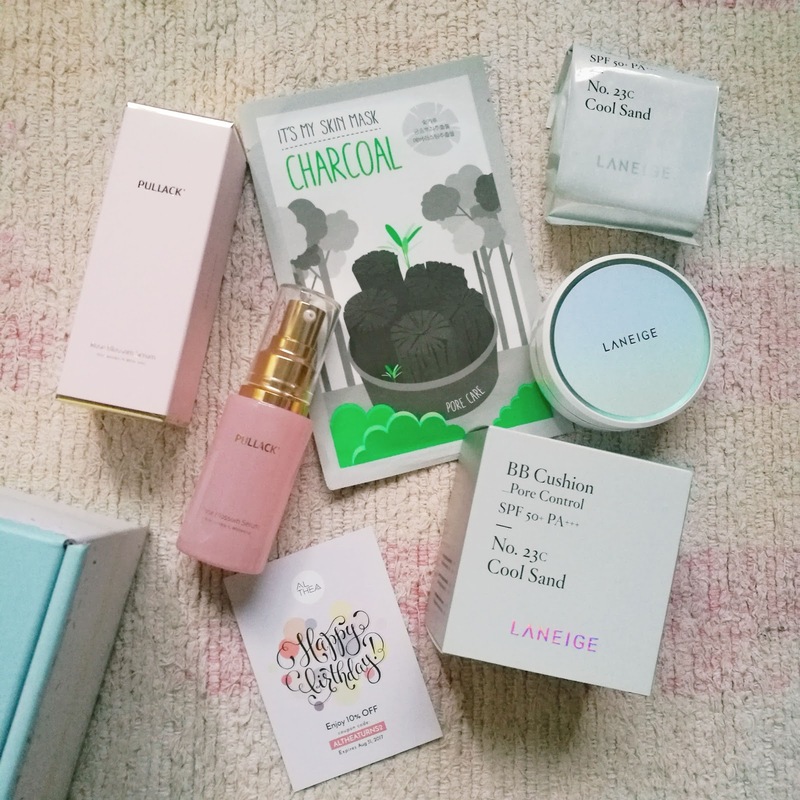 I only ordered the Pullack Rose Blossom Serum, It's My Skin Mask in Charcoal, and the new Laneige BB Cushion Pore Control! The Laneige BB Cushion Pore Control is so sulit because it contains a free refill! It's getting two BB Cushions for the price of one! Forgive the number of exclamation points but I'm just really so excited! More reason to be excited: gifts with purchase! ♥ Shop & Win. One lucky winner to be announced weekly can get Php 10,000 worth of Althea Korea shopping credits! ♥ Birthday Giveaway Festival. They have a "Today's Favorite Gift" that you can get for free with every purchase, but you have to hurry because it's first come, first served. 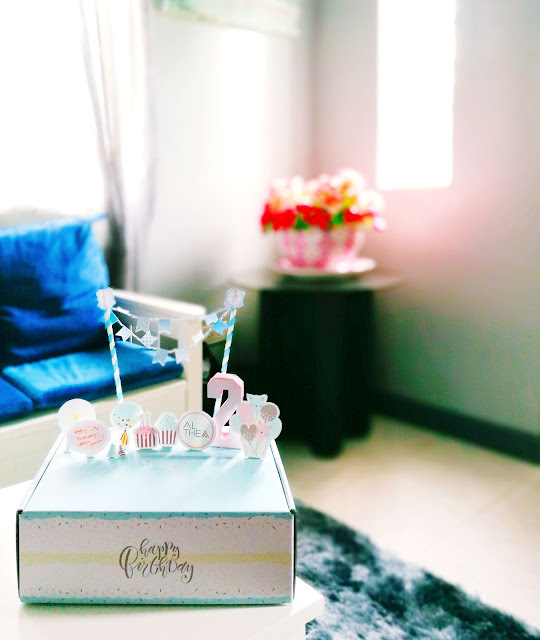 ♥ B-Day Makeup Box. 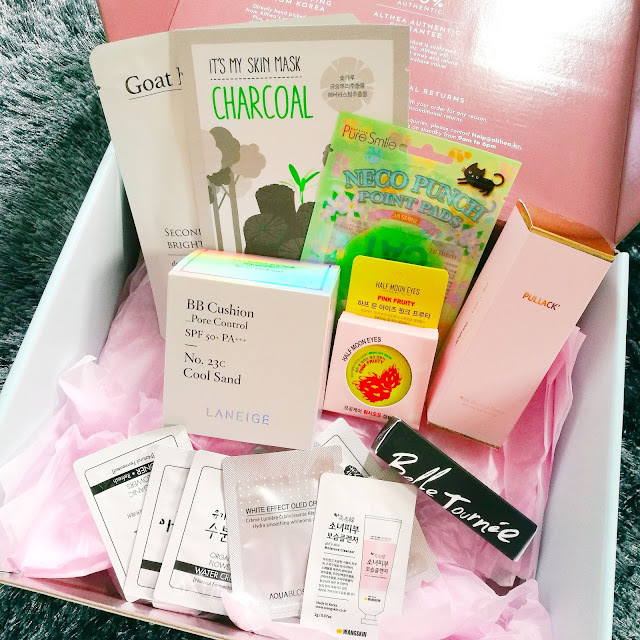 Althea Korea regularly releases curated boxes, much like the subscription boxes we have here, where you can enjoy a bunch of pre-selected products at less than three-quarters the original price! If you buy the contents of the B-Day Makeup Box separately, it would set you back at Php 5,670, but you can get this box for only Php 1,430! ♥ Fly Me to Korea contest. Lastly, every shopper who gets and decorates their Althea Korea birthday box and showcases their creations on social media gets a chance to win an all-expenses trip to Korea! There are also a LOT of other cool prizes to be won and I'm so hyped about this I would also join myself! Whew. That was tiring. Make sure to visit Althea Korea for the rest of their birthday surprises!